With the iDEAL app consumers can pay by scanning QR codes. Consumers can also use the iDEAL app to generate QR codes and to present them as a payment request to other consumers. Please watch the video on the right to see how you can pay via an iDEAL payment request. The iDEAL app is available in the Google Play Store and Apple App Store on your mobile phone. 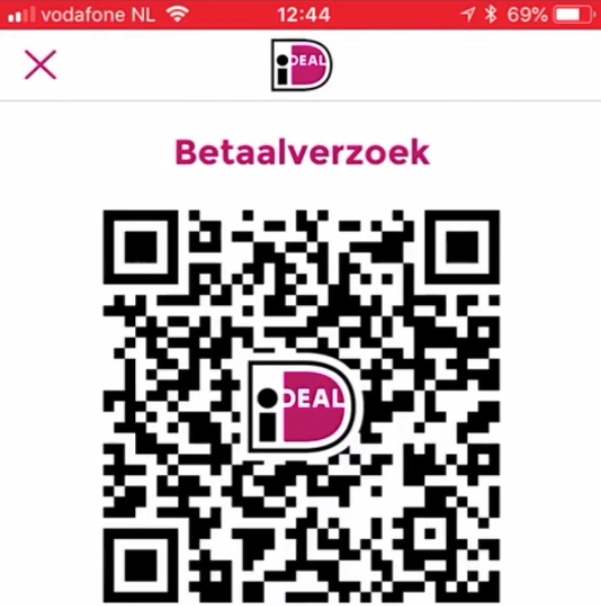 The iDEAL app provides a secure way to scan QR codes and to make iDEAL payments. Easy, secure and reliable, just as you are used to with iDEAL. Scan the iDEAL QR code with the iDEAL app. Check the payment details. In some cases you can change the amount, for example to donate a higher amount or to give a tip. You are now being forwarded to the mobile banking app of your bank, where you make the iDEAL payment just as you are used to. After that you return to the confirmation page of the payee/company. In the video on the right you see the required steps by the payer. 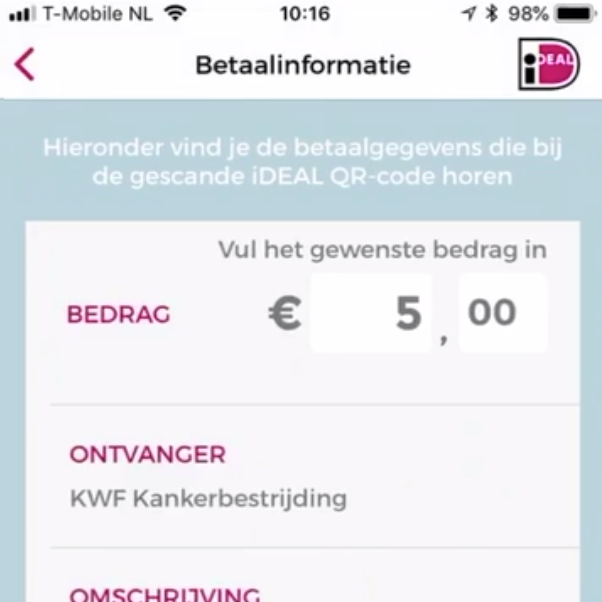 As a consumer you can use the iDEAL app to generate QR codes and to present them as a payment request to another consumer. It provides a secure and reliable way to make a ‘consumer-to-consumer’ payment without sharing each other’s phone numbers and bank account numbers. This can for example be very useful during garage sales, flea markets or sales at the door. Please watch the animated video on the right to see how the iDEAL payment request works. To be able to generate iDEAL QR codes, you just have to register in the iDEAL app by using your email address. For the registration iDEAL cooperates with Online Betaalplatform. This is the service provider that processes the payment transactions. We also ask you to make a 1-cent iDEAL payment. This payment is used to safely and correctly register the bank account number on which you want to receive the payments. Your email address will be used to send you the confirmations of the received payments. Please note: only private bank account numbers are allowed. If you want to use a business account number, then an iDEAL contract is mandatory. Click here for more information about iDEAL contracts for businesses. After your registration you can directly generate iDEAL QR codes. 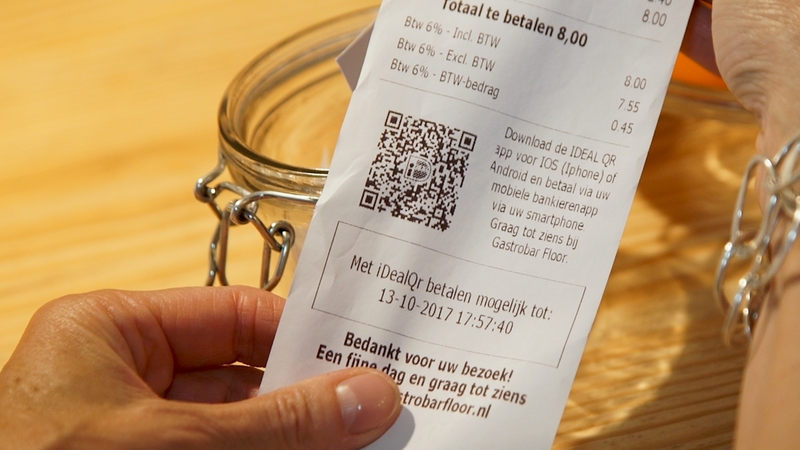 These iDEAL QR codes can directly be scanned and payed by other consumers using the iDEAL app or the mobile banking apps of Rabobank or Knab. The payment will be processed by Online Betaalplatform. Therefore, their name will also be shown on the bank statement. The handling costs of a payment request using the iDEAL app are 30 eurocents per transaction. This amount will be added to the requested amount. Of course, the payee/requestor can also decide to bear the costs himself by lowering the total amount. In the video on the right you see the required steps by the payee/requestor. Do you have a question about generating QR codes or performing iDEAL payments using QR codes? Please contact Online Betaalplatform by submitting a support ticket.